Finding fault in a California car accident is essential because the at-fault driver will be responsible for damages resulting from the accident. In some accidents, it is simple to see who is at fault. In others, it can be more challenging. One of the tools we can use at Law Offices of Michael A. Kahn to discover and prove liability is the damage a vehicle incurred. Read on to learn more and then contact us at (310) 209-1600 for a free legal consultation. Investigators can use the damage a vehicle sustained to identify the type of accident that happened. There are a number of types of accidents, such as a head-on, side-impact, or rear-end accident and the type of accident can have a big impact on proving fault. If two cars are involved in a rear-end collision, then one will have damage to the front and one will have damage to the back. The driver in the rear is presumed to be at fault. There are many ways they could have caused the accident, such as by being distracted while driving, driving too aggressively, following too closely, or running a red light. That said, there are situations in which the front driver is at fault, such as if the front driver was distracted at an intersection. 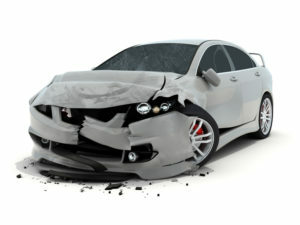 If a vehicle s damaged on one side and there is no damage on the other side, the front, or the back, then it is easy to see that a side-impact crash occurred. If it is on the passenger side then the accident was often the fault of the driver that that hit the vehicle. For example, if one car has damage to the front and other has damage to the side, it is more likely that the vehicle with damage to the front ran a red light and hit the other car than vice versa. If both vehicles have damage in the front then a head-on collision has occurred. It is most often the case that one driver was in the wrong lane when this type of accident occurs. The damage cannot generally give much information on which driver was at fault. Instead, additional investigation must be done to find eye witnesses, to look at skid patterns, and other methods. If you have been involved in any type of accident, whether a car accident, bus accident, motorcycle accident, or other type of accident, your next move is to contact a personal injury attorney. The easiest way to do this is to call Law Offices of Michael A. Kahn at (310) 209-1600 and ask for a free legal consultation. We take your cases on a contingency basis that ensures you have no upfront costs and that you do not pay if we do not win. Call today!